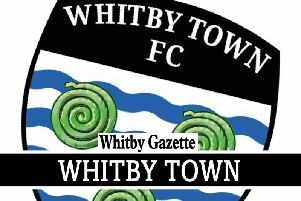 Whitby Town ended their poor run of form with a 2-0 win against Bamber Bridge at the Turnbull Ground. The Blues led after just four minutes, Junior Mondal finding the back of the net after latching onto an inch-perfect Dale Hopson through-ball. Bamber Bridge levelled scores up at 1-1 when Alistair Waddecar cut inside and fired into the top right corner. After the post had denied Bridge the lead, Hopson was denied twice in quick succession by visiting gloveman Oliver Byrne and scores remained tied at 1-1 at the break. Town re-took the lead on 77 minutes, skipper Hopson netting from the penalty spot after Mondal was brought down in the box and the Blues held firm for a welcome three points.